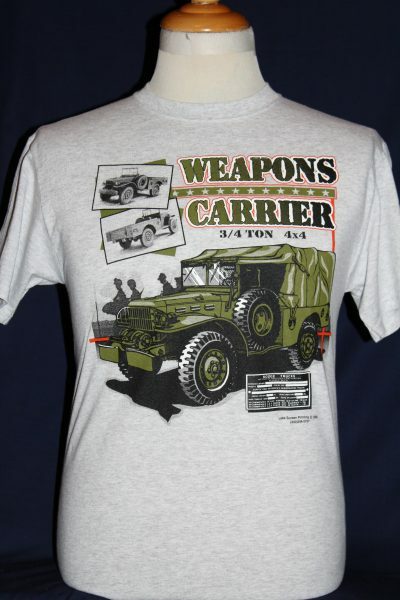 The WWII Dodge Weapons Carrier T-shirt is a single sided print in grey. 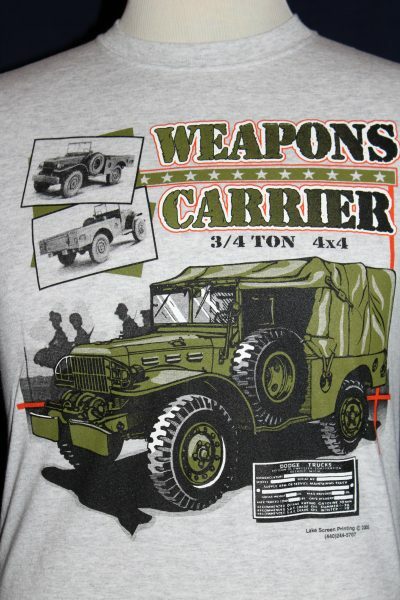 Front Design Only: Left front view of the 3/4 Ton Dodge Weapons Carrier 4x4 in Military green. Original photos and manufactures statistics plate are included.